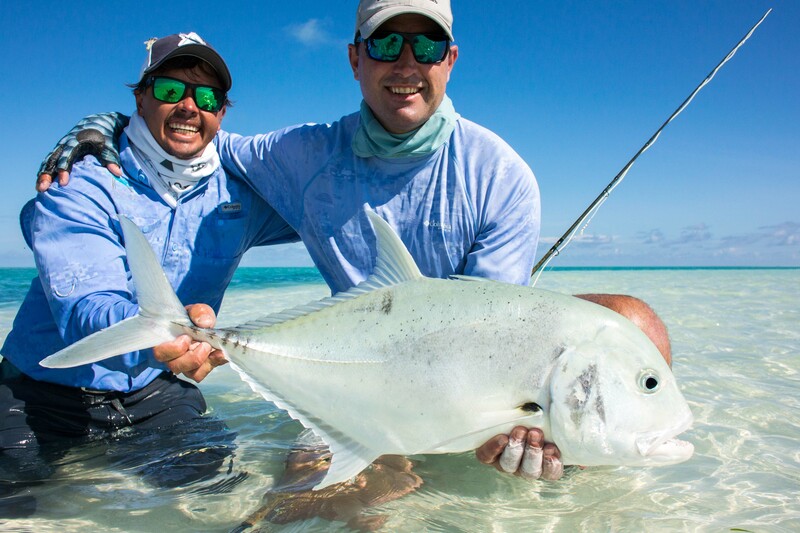 Alphonse Island Fishing 29 Oct – 4 Nov 2016 – Monster GT’s and Milks! 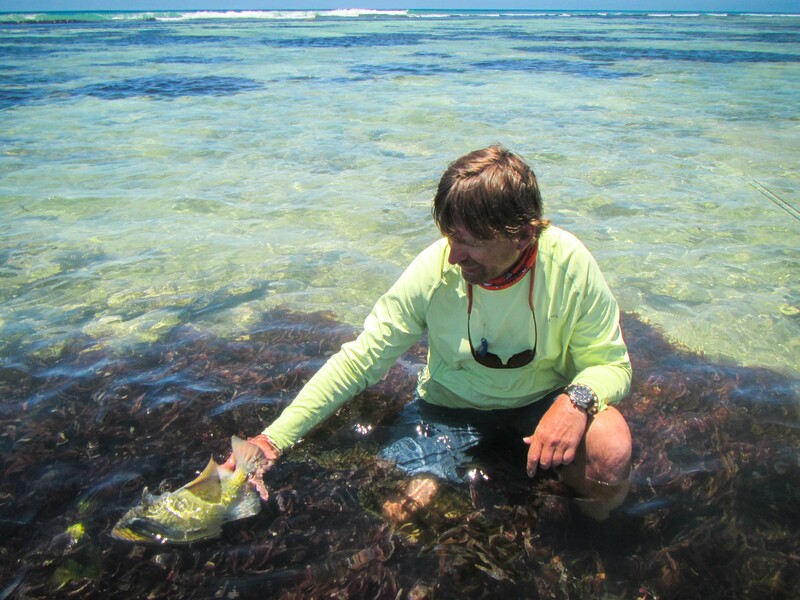 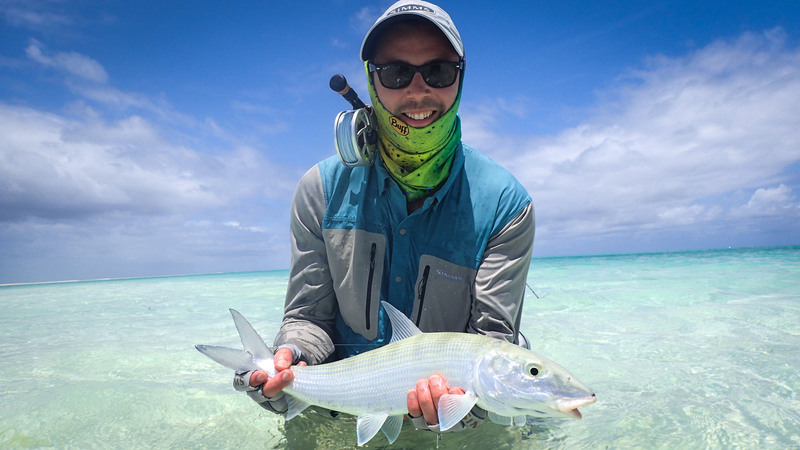 Alphonse Island is probably the world’s premier destination for consistently targeting Milkfish on the fly. 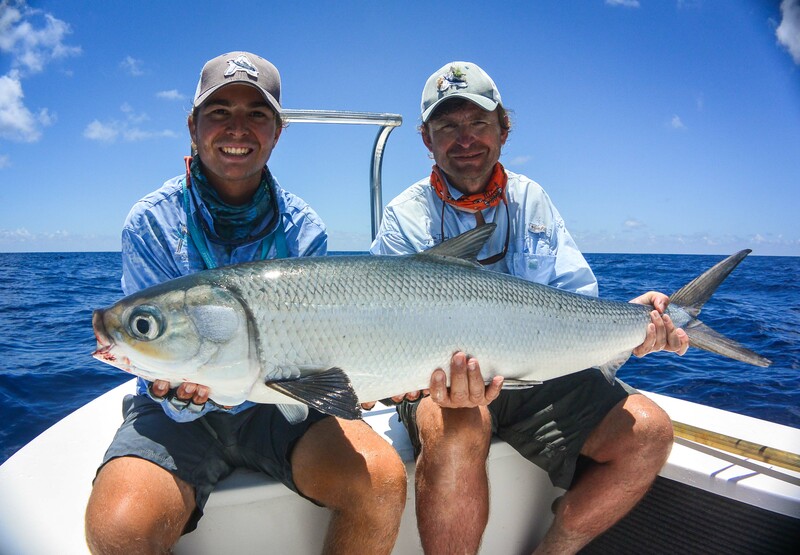 The sight of a group of daisy-chaining milkfish will even have the most experienced anglers weak at the knees. 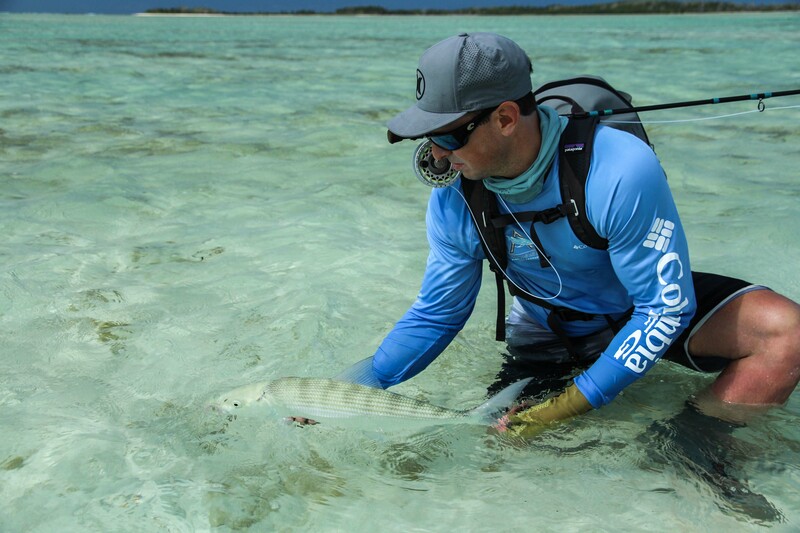 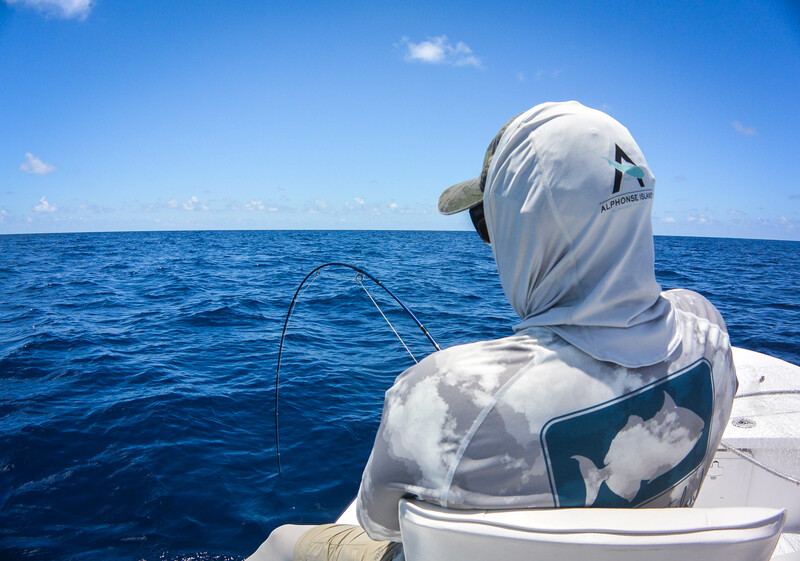 With a slight reduction in wind speed and calming seas, the guide team had a brief window of opportunity to target these extremely powerful yet finicky fish. 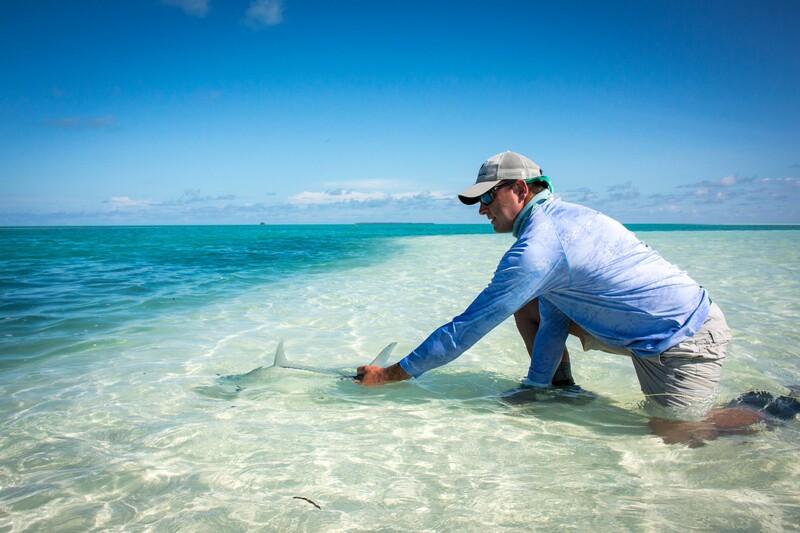 This week saw a full seven skiffs out in St Francois lagoon. 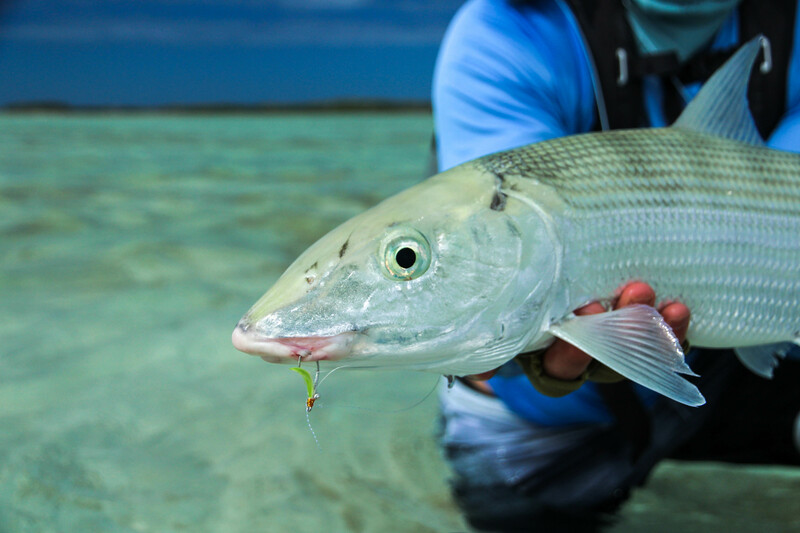 With favorable weather conditions throughout the majority of the week and big spring tides, the stage was set for long walks around the surf zone targeting a plethora of species on both tidal phases. 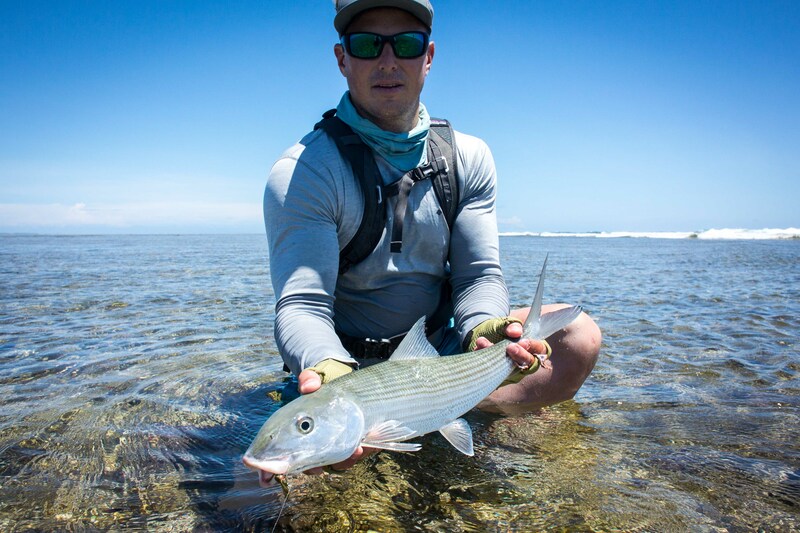 Aside from the incredible fishing, the scenery and wild beauty of the surf is like no other and can often distract from the fishing itself. 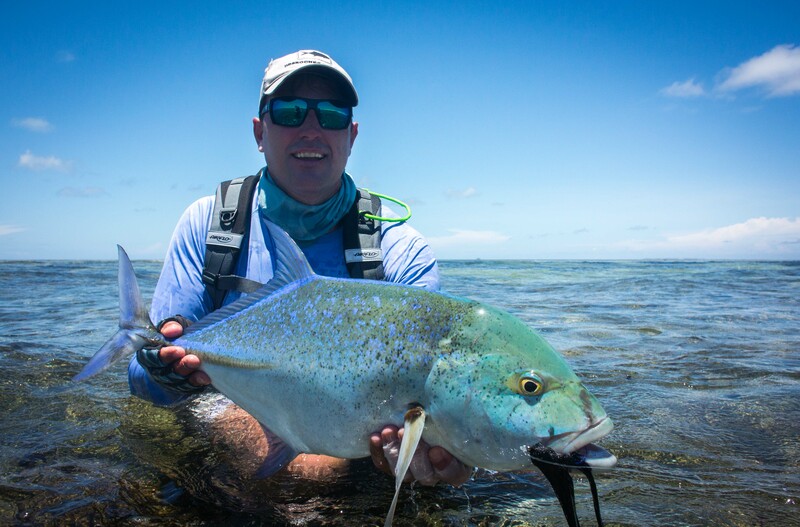 The quest for a meter plus GT is not something that comes easily. 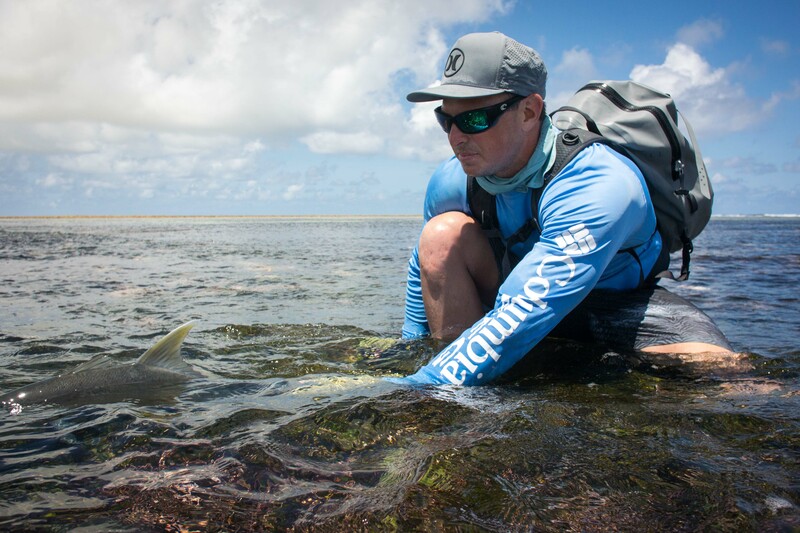 However, Christian Acard managed to break this barrier not once but twice during the week. 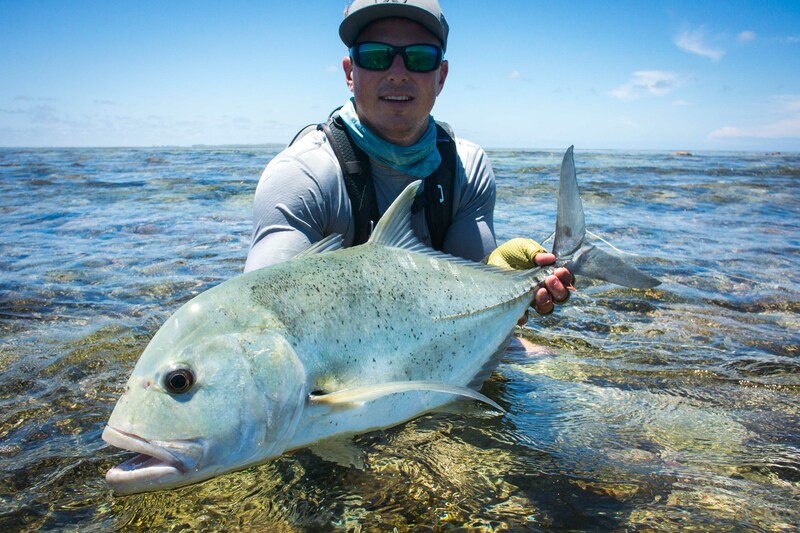 Christian shed the cobwebs immediately with an incredible fish of 101cm on the first day. 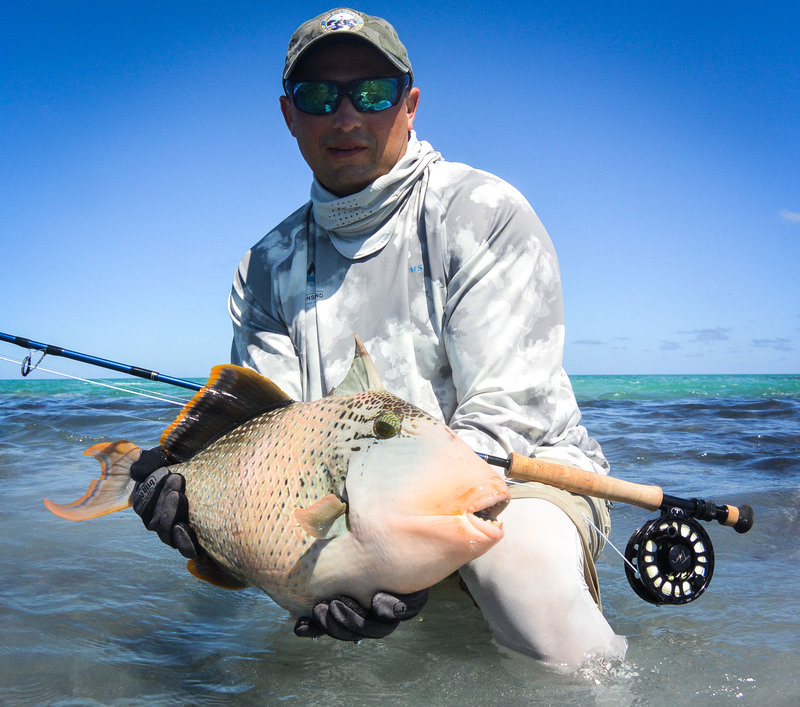 As if this was not enough he went on to dwarf this fish with an astounding GT of 136cm, the largest sight fished GT caught on St. Francois in the history of the Alphonse Fishing Company. 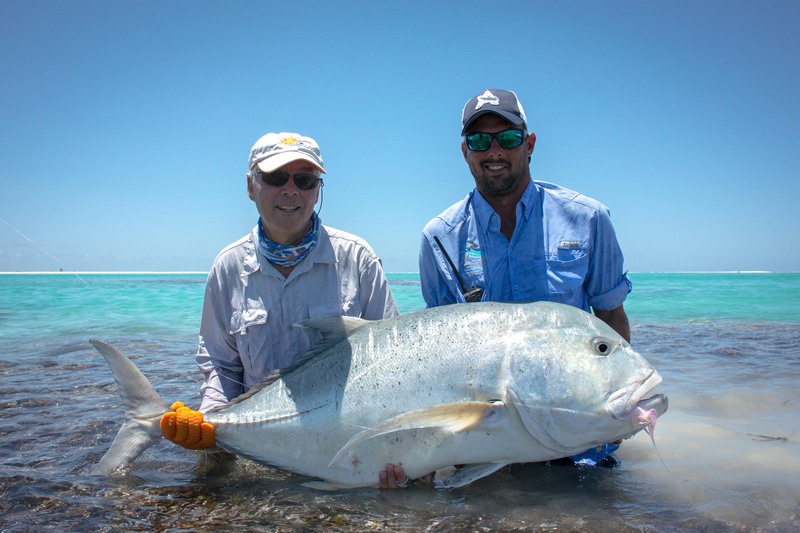 William Rushmer also managed to join the meter plus club with an awesome fish of 117cm on GT Friday which he accompanied with a ‘Bills and Bones’ slam earlier in the week. 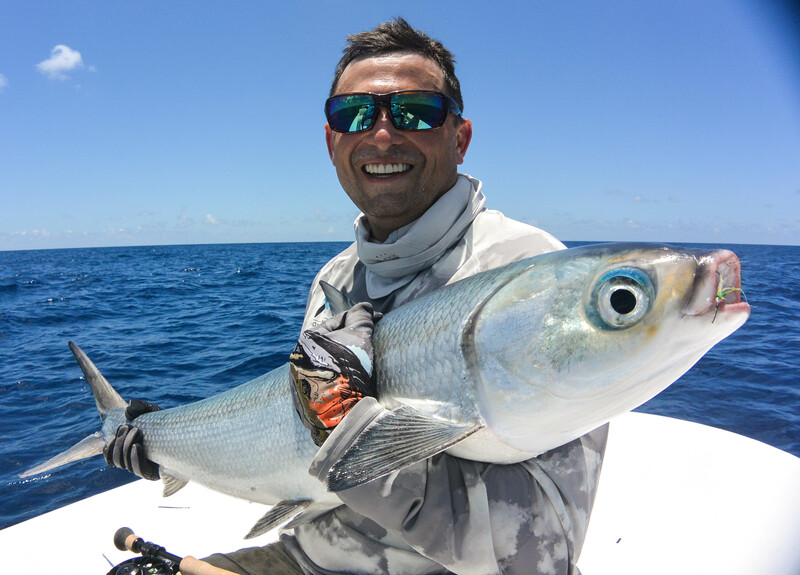 Another special mention must go out to Chris Westerhof who managed to land two GTs of 73cm and 95cm in one day closely followed by his boat partner Justin Kemp who also got a fish of 74cm on the same day. 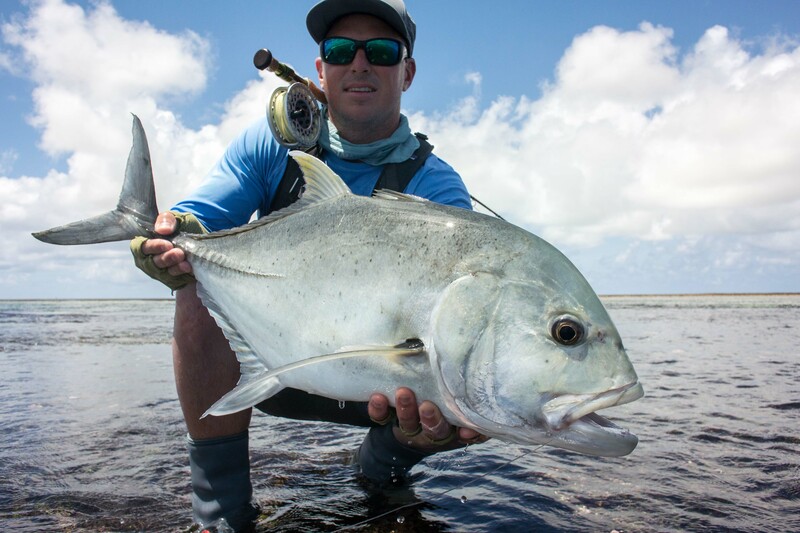 Chris built on his good form by landing another beautiful 71cm fish the next day earning him the crown of GT champion of the week. 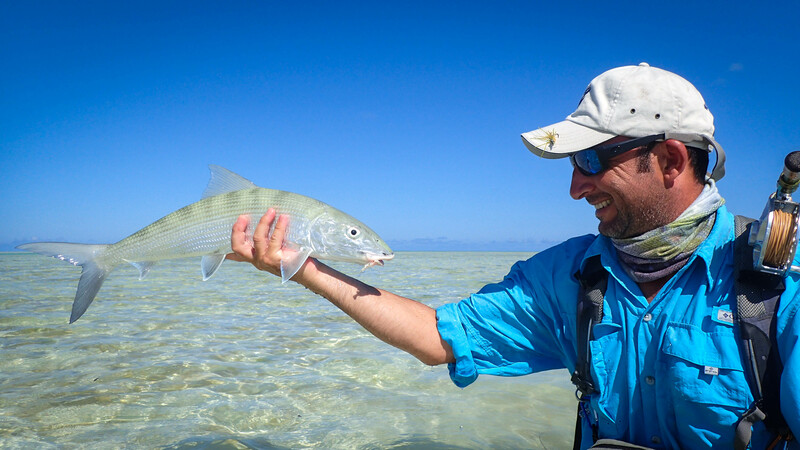 However, all the action was not limited to the flats. 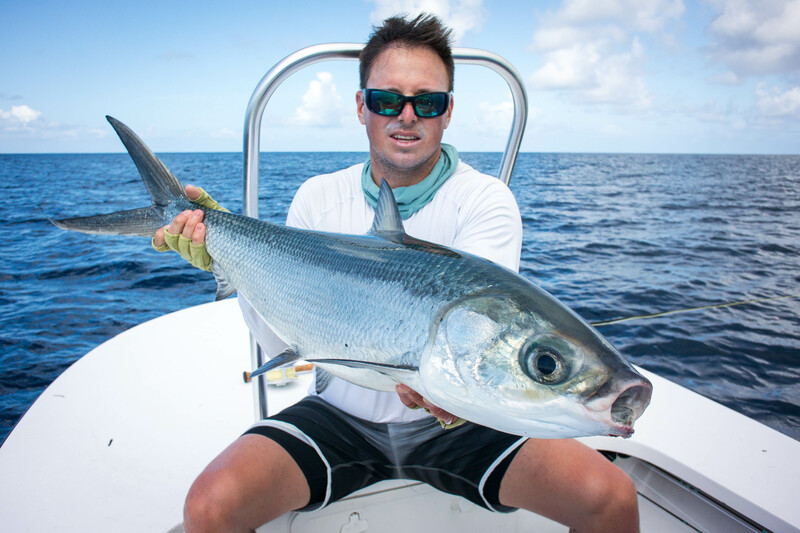 Tim Dykman managed to catch a Wahoo followed by a ‘Bill and Bones’ slam which he crowned with an 87cm GT in the afternoon. 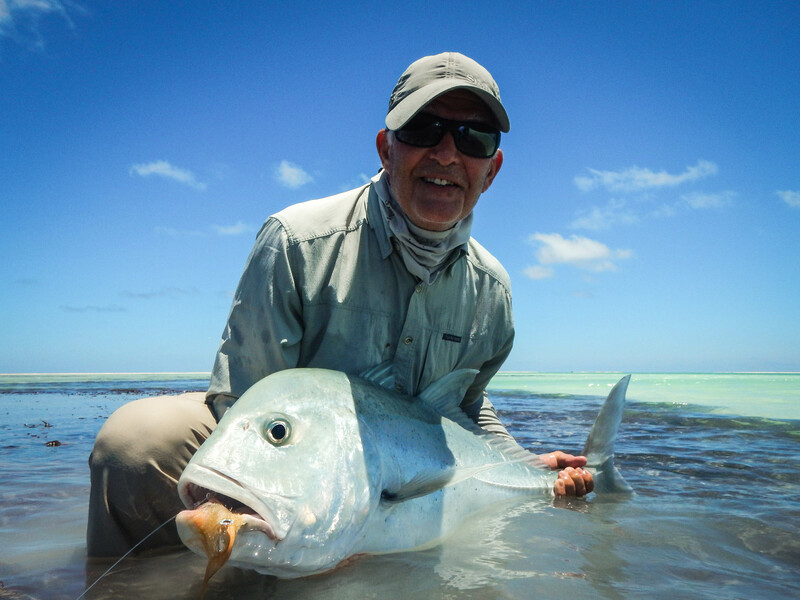 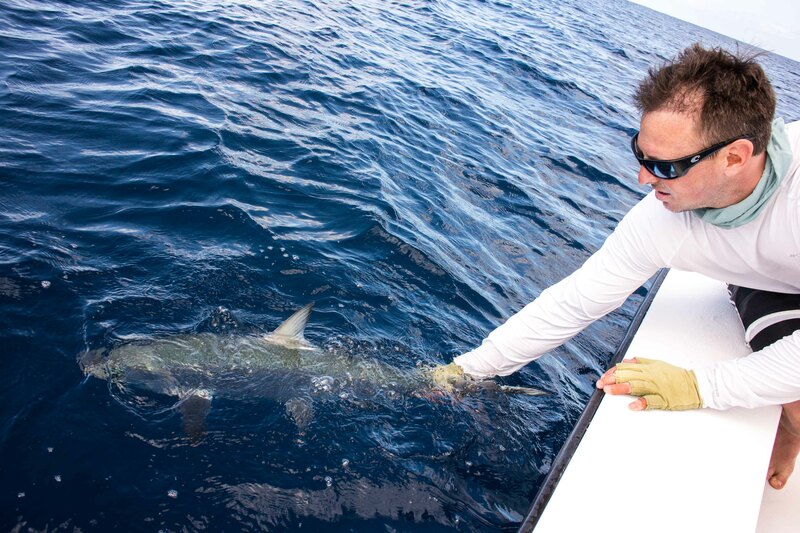 Tim also capped off a great week with a very respectable 70cm GT on the last day. 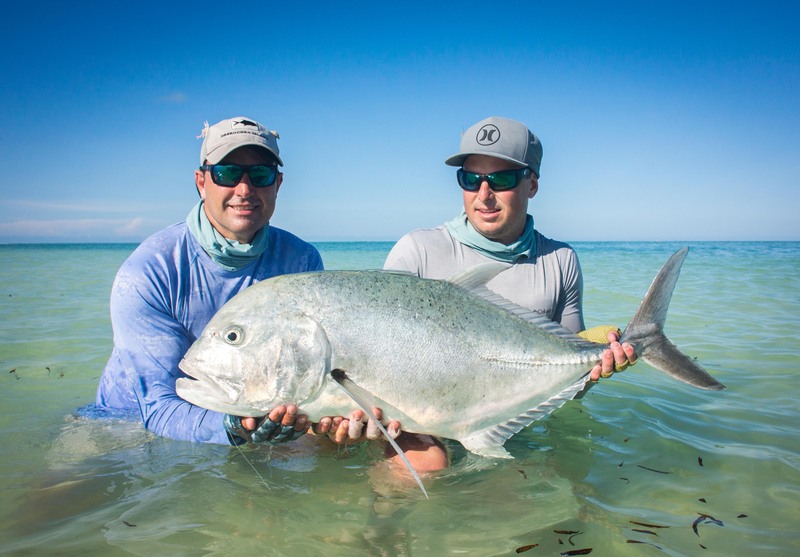 A very impressive feat was achieved midway through the week when Chantal Chone managed to land a massive 15kg Yellow-Fin Tuna on the fly whilst on a flats skiff after a grueling hour-long tussle. 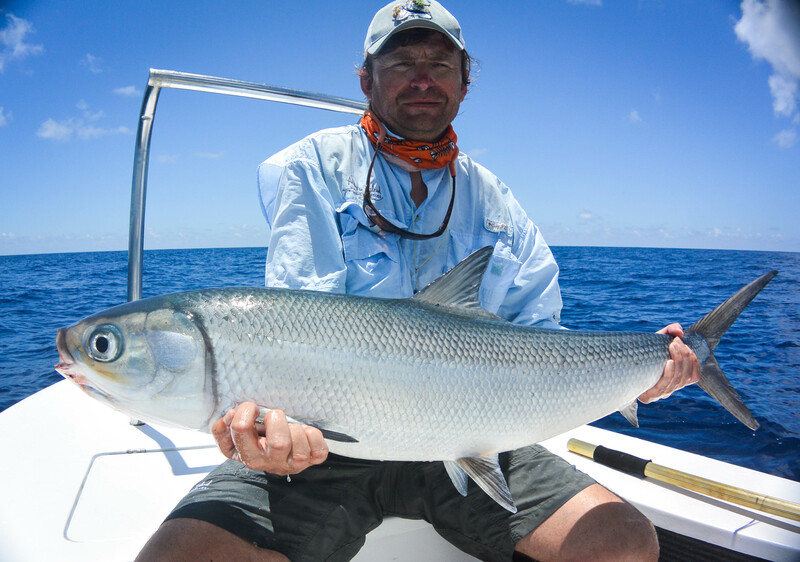 As the wind died down after the first couple of days the conditions became suitable for targeting milkfish. 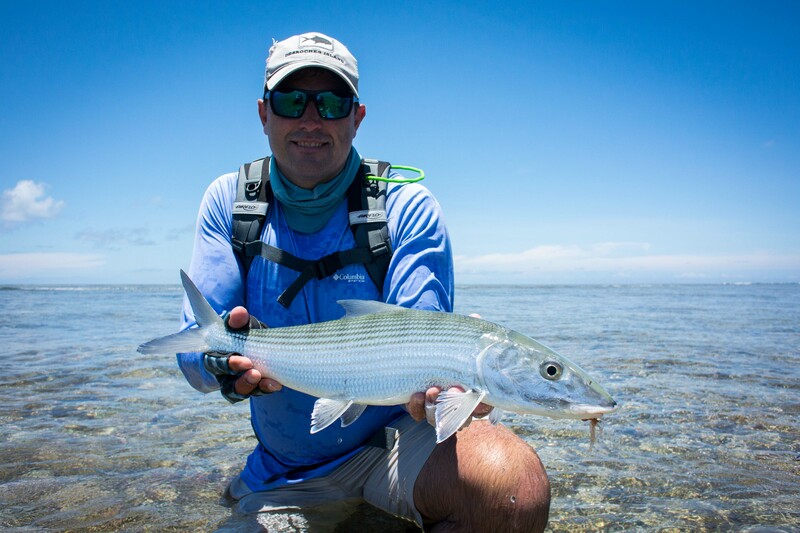 The guides found large schools of fish feeding on the western drop-off during the dropping tide. 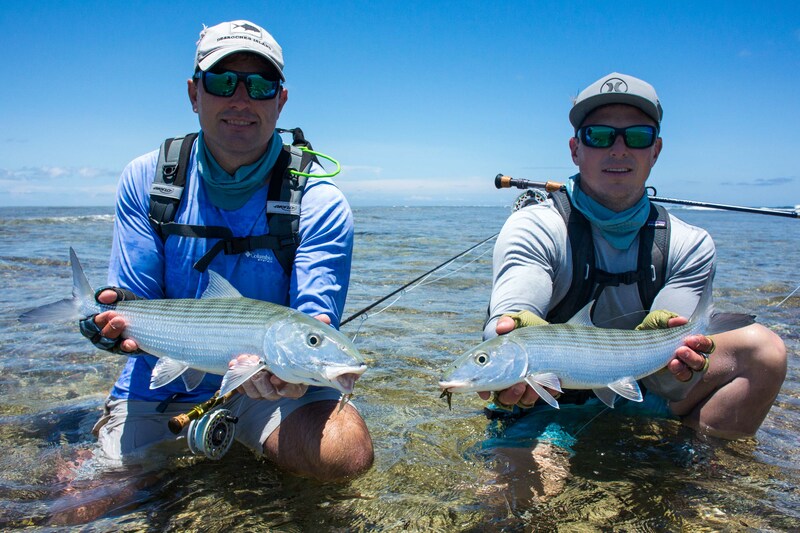 Chris Westerhof, Jan Hradecky and Alexey Strulistov all managed to capitalize on this phenomenon with fish ranging from 25 to 30lbs. 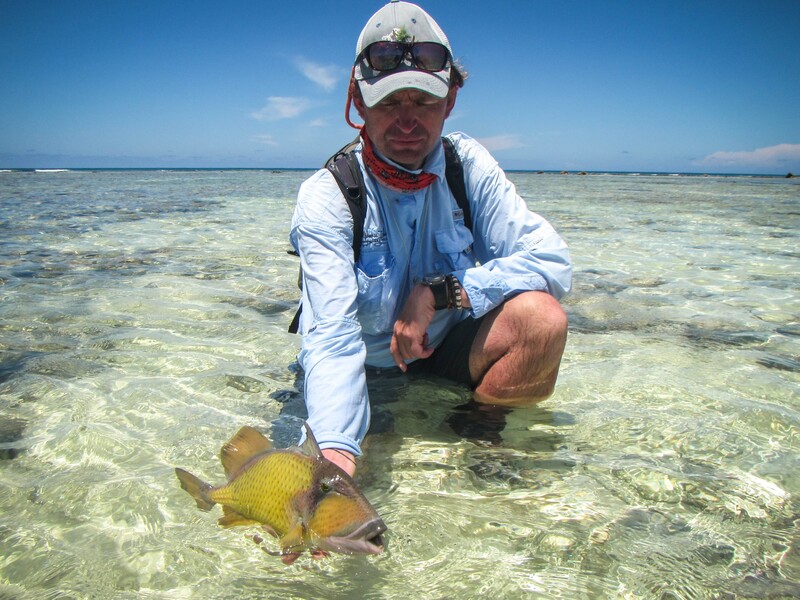 Jan also had an outstanding week on the Triggerfish front managing to land four Moustache and one Yellow-Margin during the week. 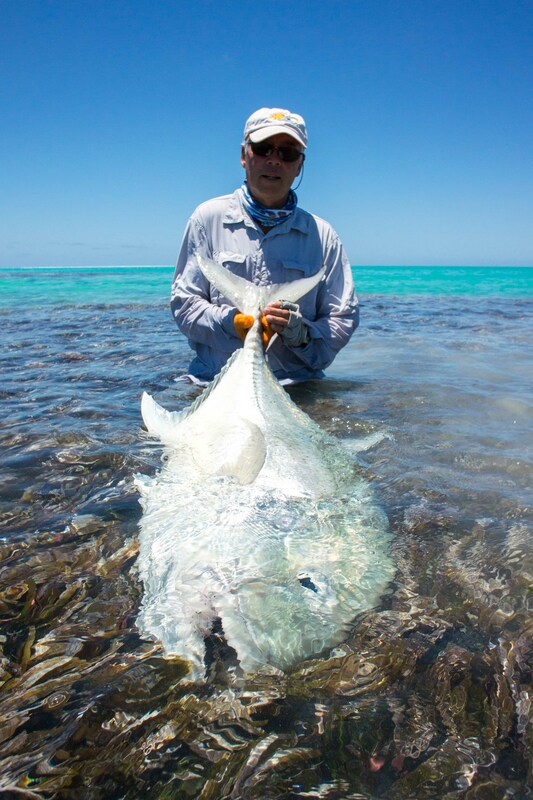 Following suit, Hani Ghali also landed a beautiful Moustache trigger. 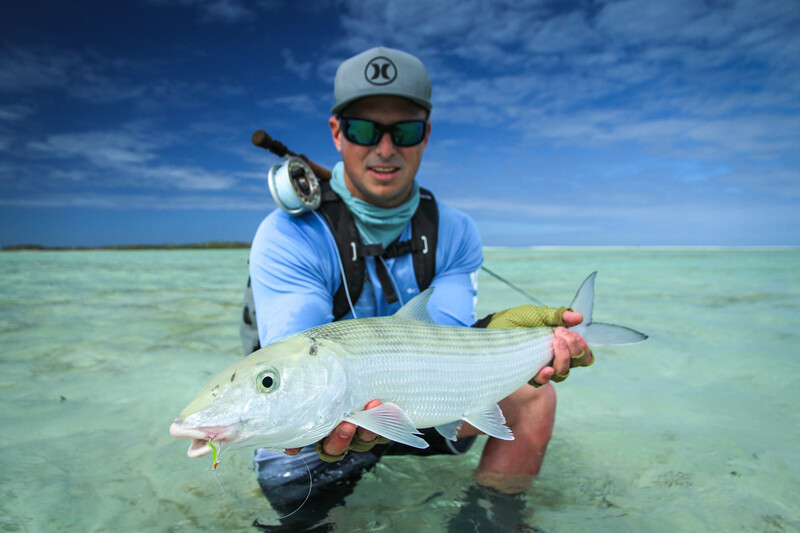 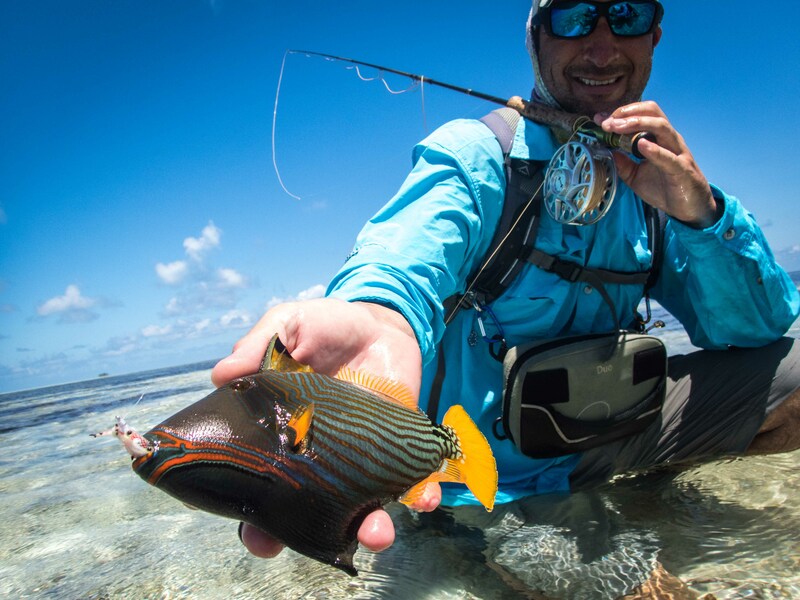 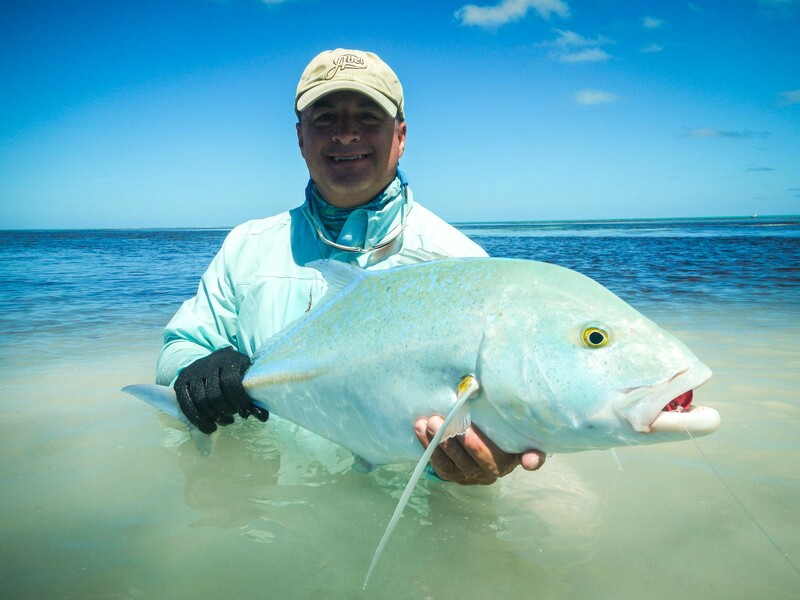 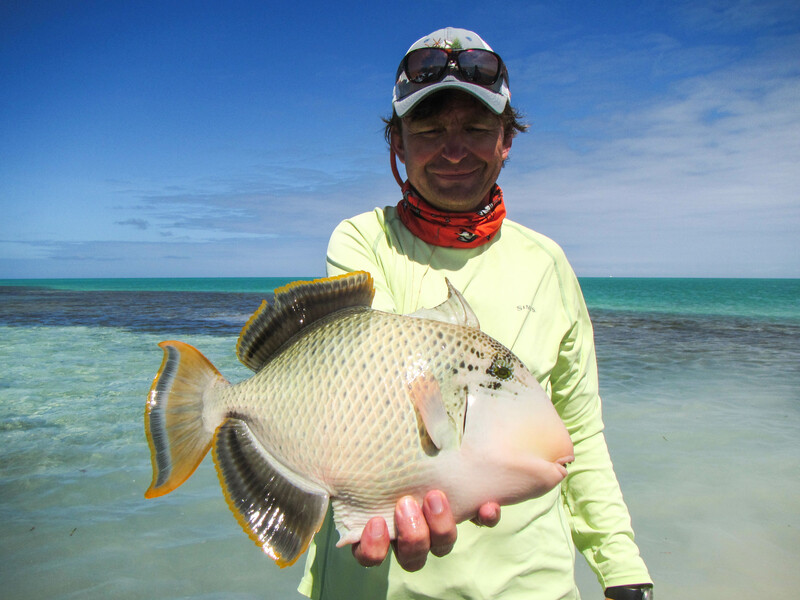 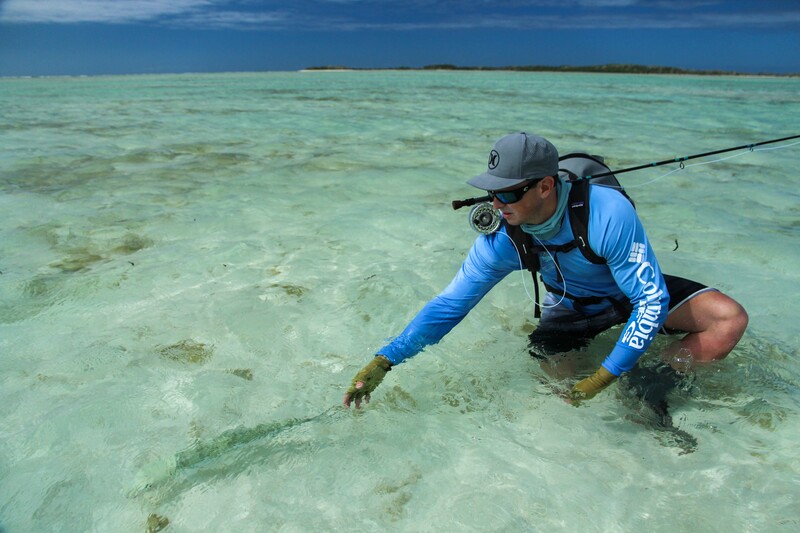 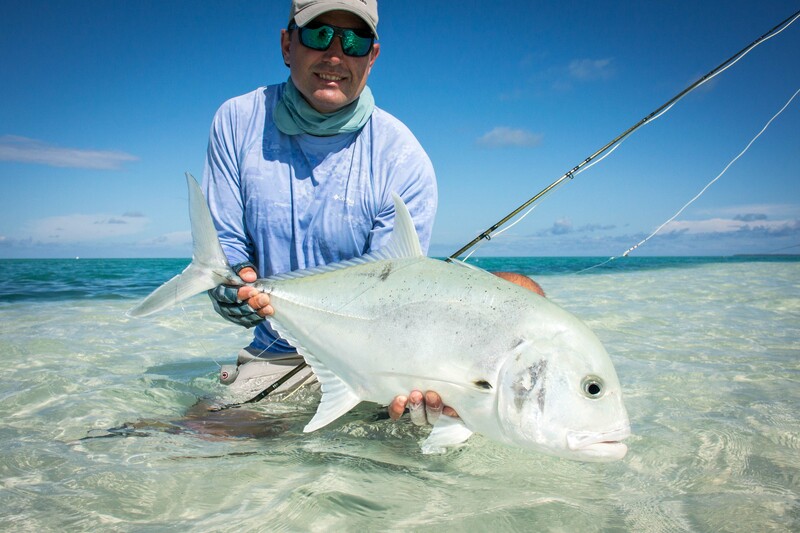 Despite spending some time on the Bluewater boat where he managed to land a GT and double ‘Bills and Bones’ slam, Alexey had a fine form on the flats landing a Moustache and a Yellow-Margin Triggerfish. 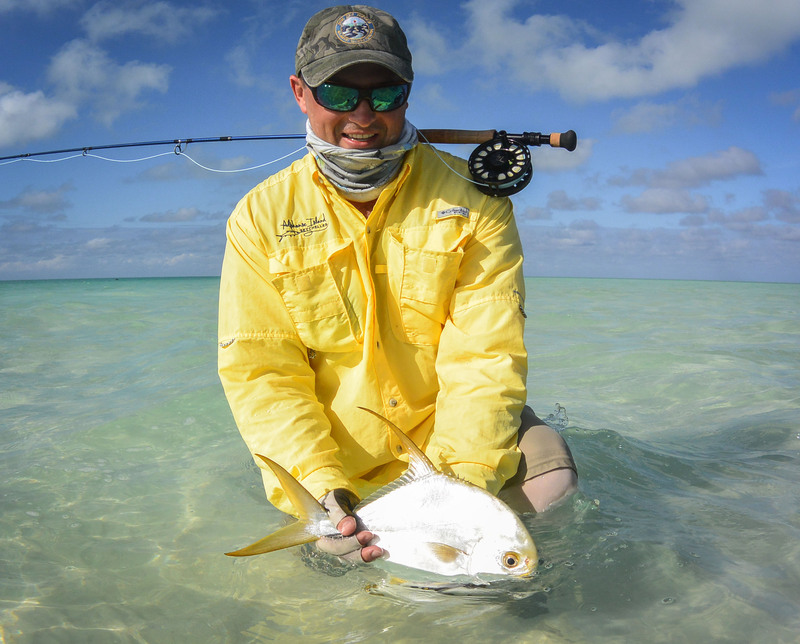 The crowning jewel of his week, however, was his first ever Permit caught on East Knoll. 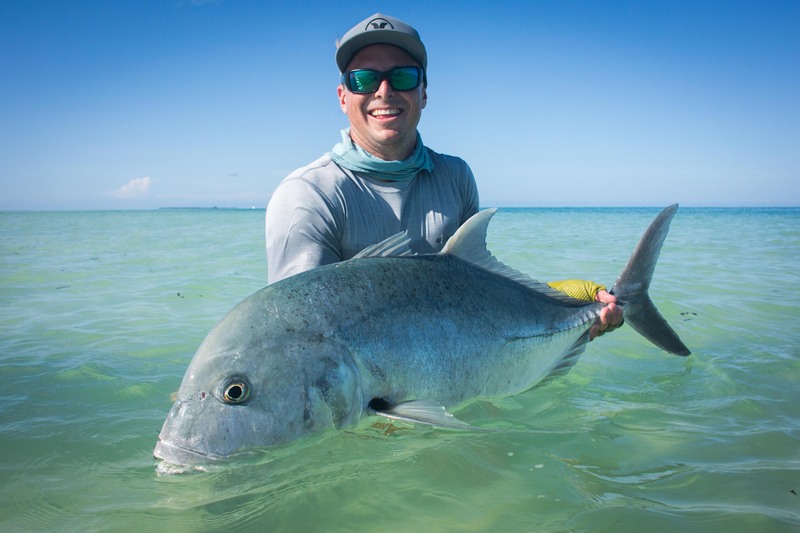 The Permit numbers were also kept up by our very own head guide Alec Gerbec who managed to catch his first ever fish whilst on a day out on the flats. 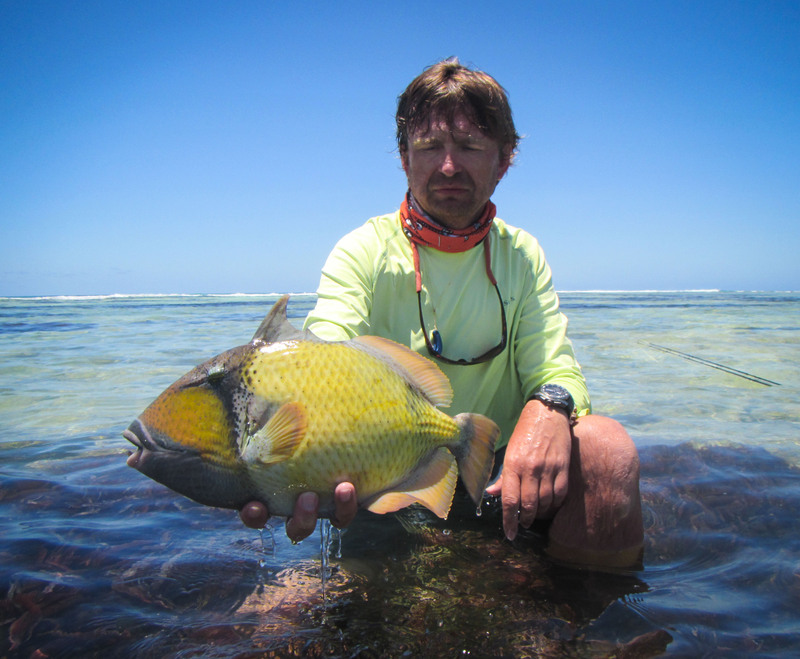 The diversity of the fishery is mirrored in this week’s incredible catch statistics. 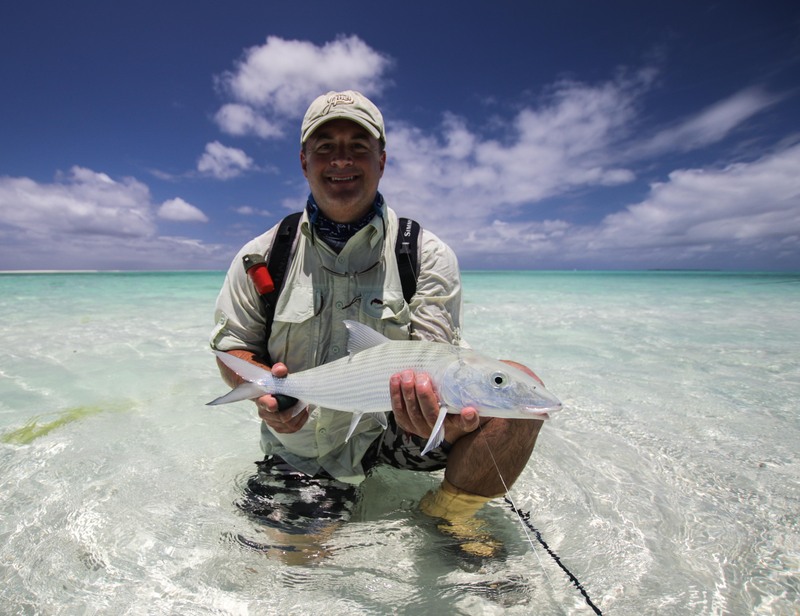 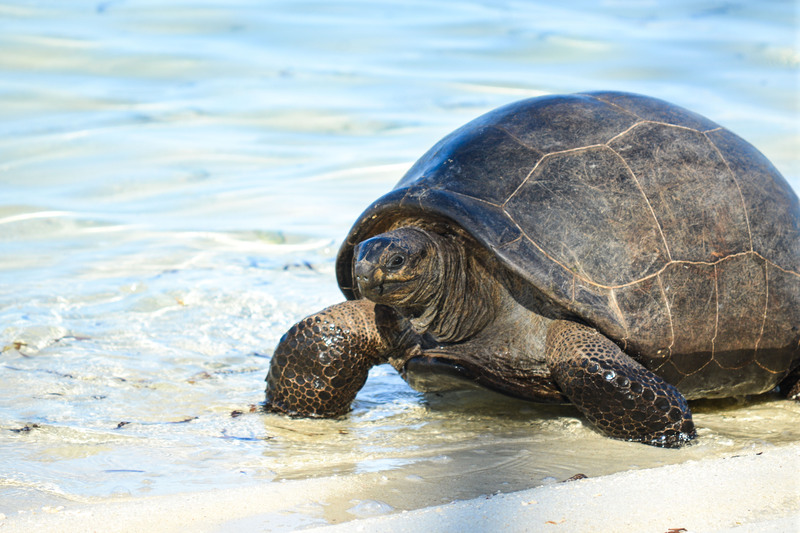 It was a huge privilege to witness such a variety of opportunities that the atoll provides in a single week and more so that we were able to share these experiences with a fantastic group of guests. 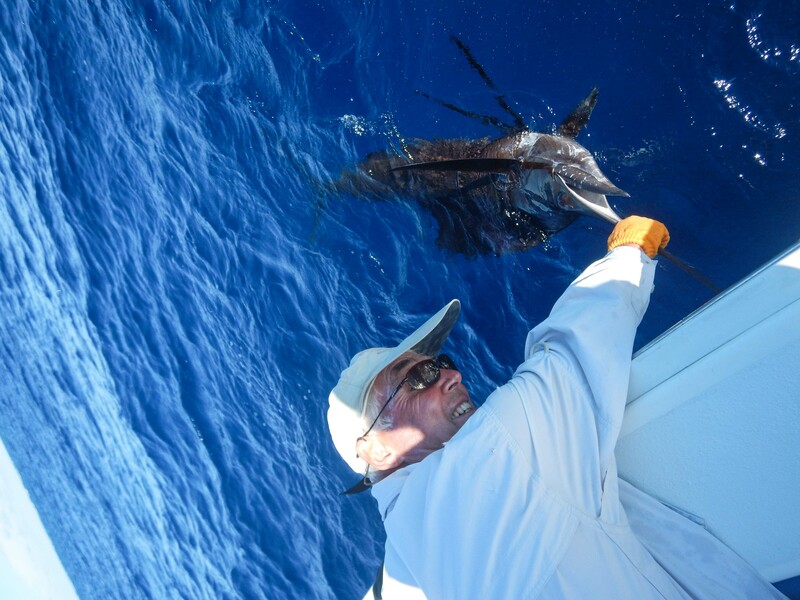 See more of the last week’s images in the below or read the latest report of Cosmoledo’s Season opening.